Logistics companies are going through unprecedented change as digital transformation grows at a phenomenal pace and customer expectations continue to evolve. 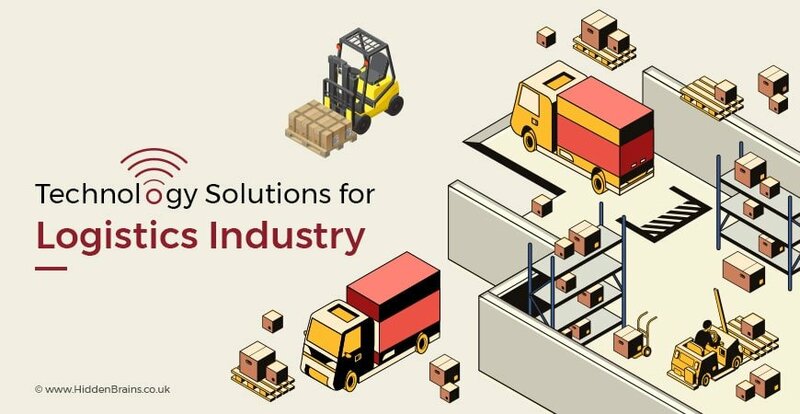 Emerging technologies and solutions are taking logistics software solutions to greater level and redefining the industry in unimaginable ways. These technological breakthroughs have different implications for industry’s customers, suppliers, new entrants and more. Dominance of prevailing forces are churning the logistics industry; and this includes shift in consumer demand, extended regulatory requirements for safety and fuel economy, and the increased availability of data and information. With the growing population of mobile users worldwide, it becomes highly significant to make the logistics technology seamlessly accessible for people on the move. Mobile and mobile applications are not only the most promising way to connect anytime and anywhere. It is important to hire dedicated web designer or mobile developer to create a superior support system. In fact there is conscious trend seen in the logistics industry of businesses showing inclination for IOT, Big Data, enterprise web solutions and cloud technology to meet the needs of information sharing at an optimized cost and to make the most of globalization. This infographic provides details of future of logistics industry and impact of emerging technologies on logistics software solutions. Looking to develop logistics software solutions? Let’s discuss your project.